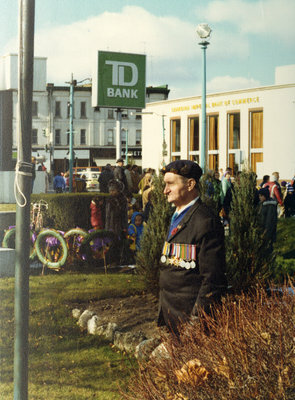 A colour photograph of Retired Sergeant James Wilde at the Whitby cenotaph. Whitby Cenotaph, 1976, Robert Kirk. Whitby Archives D2013_005_012.